Family Health International, also known as FHI, is a charity organization that works in the field of public health and development. This organization, established at the University of North Carolina at Chapel Hill in 1971, became an independent, nonprofit organization in 1975. Family Health International leads numerous programs all over the world to recover healthcare services, prevent diseases and improve lives of people and quality of their communities. 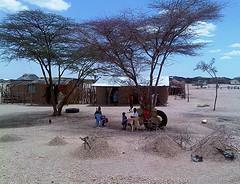 Kenya is just one among many of the countries in which this organization struggles to improve living conditions. Kenya is a country in East Africa, with the largest by GDP in East and Central Africa. However, this country is ranked of 169 countries for overall levels of development. People of Kenya are still struggling with famine and poverty as almost 47% of them are living below the national poverty line. Around 30% of the nation is undernourished and 1.5 million of them are infected with HIV. Another severe health concern is a lack in access to clean water. About 41 percent of the population of Kenya does not have any easy access to clean water, and around 69 percent of them are lacking access to sanitation. The Family Health International office in Kenya is established in 1993. At this point, the office has 184 staff members who are all working together to improve lives of Kenya’s most vulnerable people. This institution is struggling to make a lasting change by increasing the quality of health services. The goal is to improve services for HIV prevention, to deliver services for reproductive health, and to address many important public health issues such as tuberculosis, malaria, and other neglected tropical diseases. A special part of their mission is dedicated to educating the local population about contraceptives and reproductive health standards. Being that Kenya is a country with 6.3 percent of adults affected with HIV, Family Health International addresses this issue through various programs such as the Regional Outreach Addressing AIDS through Development Strategies (ROADS) and AIDS, Population, and Health Integrated Assistance (APHIAplus). They are also conducting HIV testing and counseling, preventing HIV testing and counseling and educating people about sexually transmitted diseases. This organization is also training families to improve household nutrition and income, and providing job training to young women. Family Health International also leads clinical trials in Kenya to test the safety and effectiveness of HIV-prevention pills and carefully monitors the efficiency and safety of malaria medications. They are also conducting a research on vaccines that could be used to prevent rotavirus.